Here is a photo of my dog when he was just a puppy. 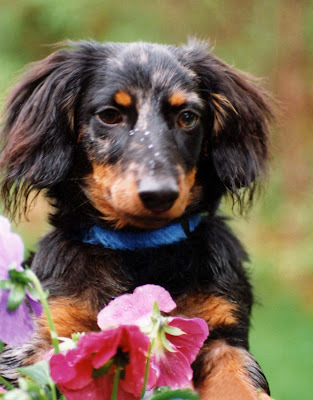 Andy is a mini long-haired dachshund who has brought us 8 years of amusement. He is the perfect family dog. Isn't he cute? 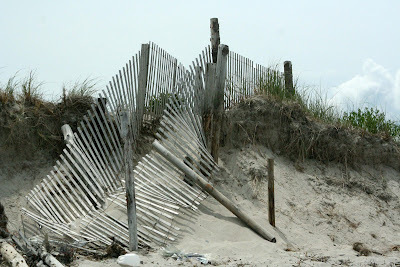 This dune fence has seen better days. There is still something beautifully peaceful about the fences, even when they are in a deteriorating state. It has probably been repaired by now. I took this photo last summer. Bob and I went for a very nice walk at the Norris Reservation in Norwell. 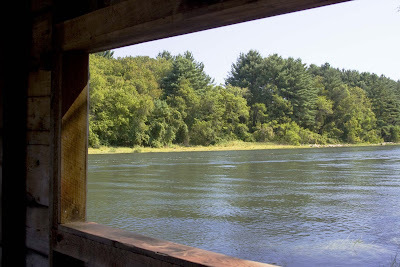 This is a view of the North River taken through the window of some kind of empty house, perhaps a boat house. 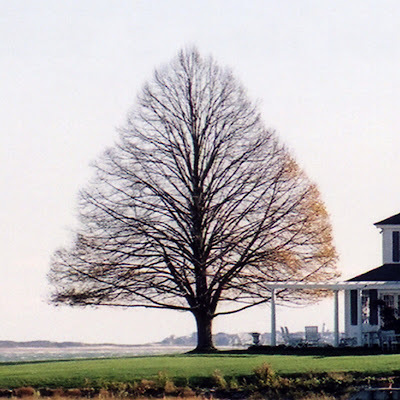 Can you believe the perfect shape of this tree, which can be seen from Powder Point Avenue. It stands alone and, although beautiful in the spring and summer, it is most noticeable when all the leaves have fallen, revealing its shape. It think it's a tulip tree.